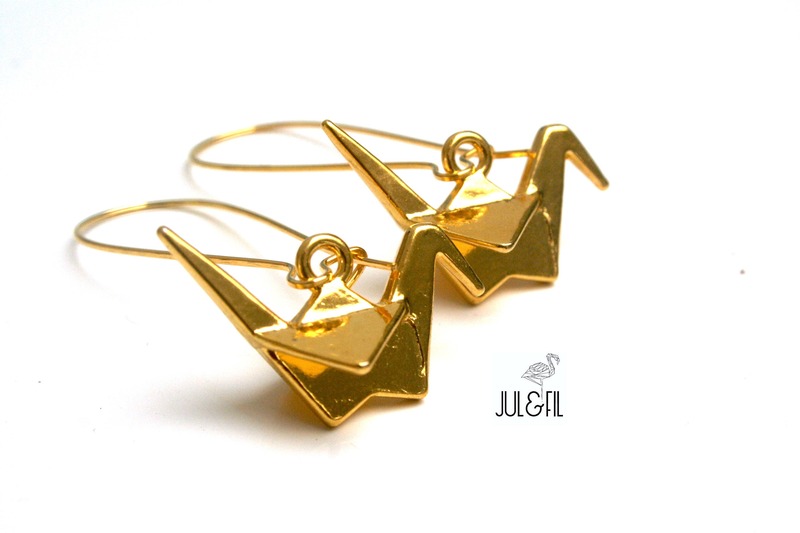 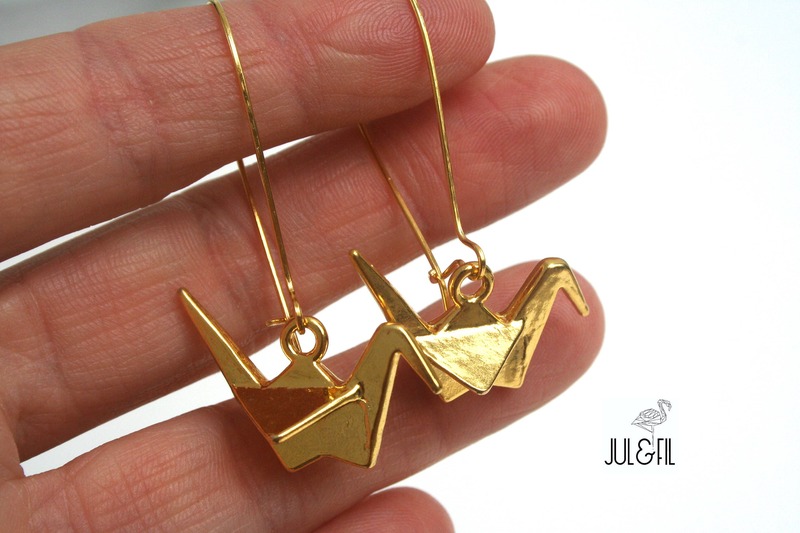 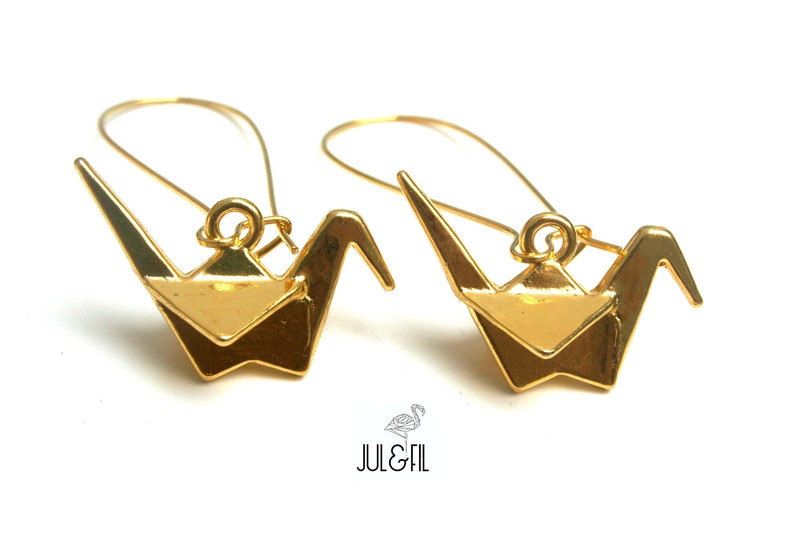 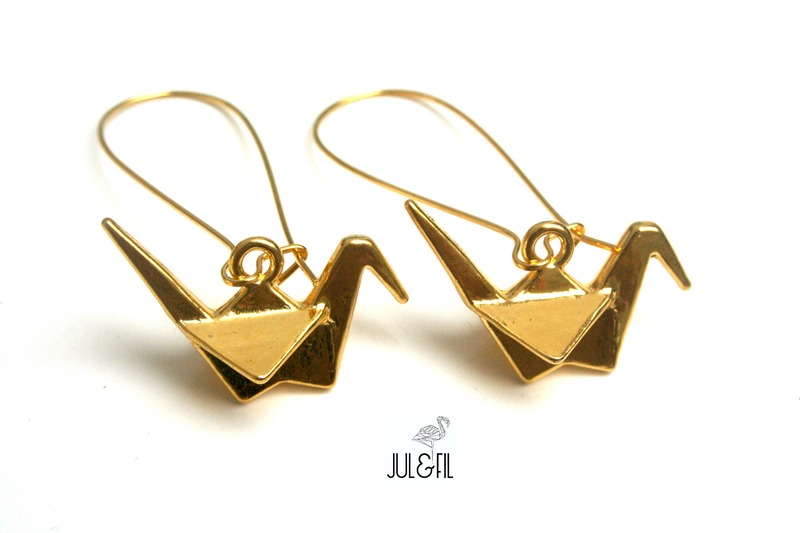 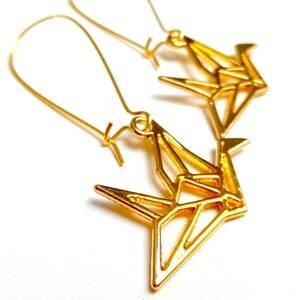 Sleepers cranes Japanese origami on large hooks, all brass gold. 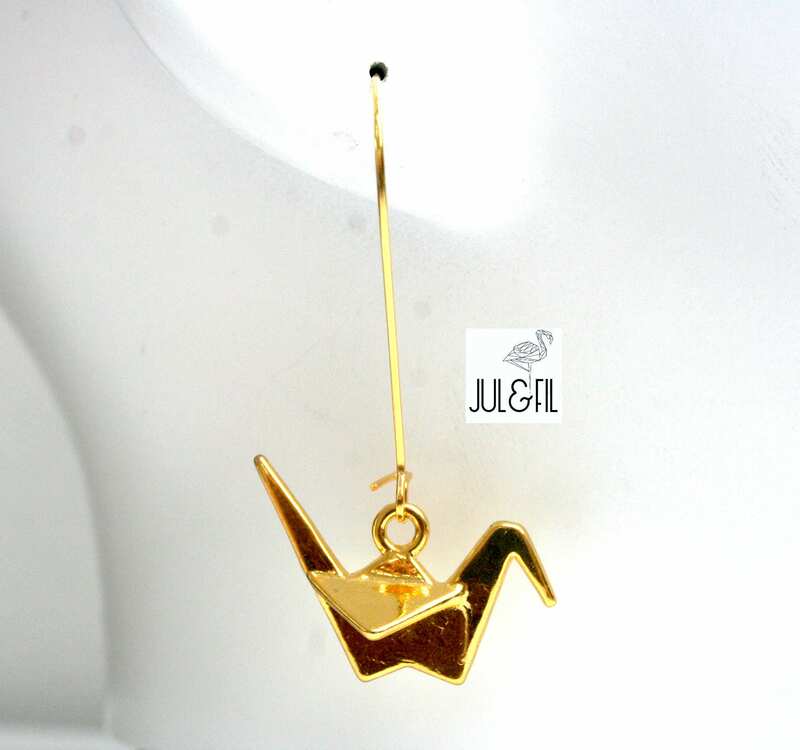 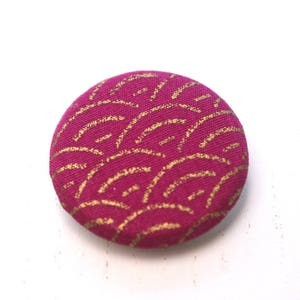 Beautiful European quality brass, nickel free, lead or cadmium. 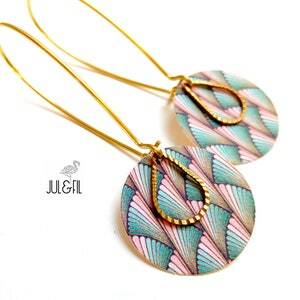 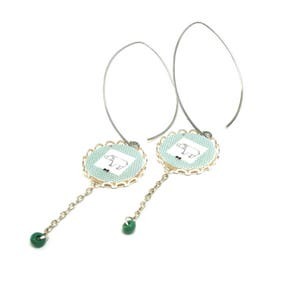 Feel free to contact me for a coordinated jewelry making.